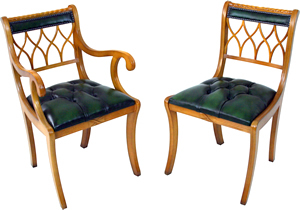 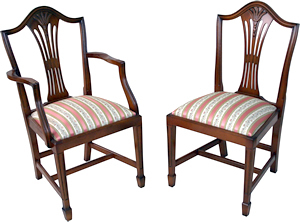 Southern Comfort offers a wide collection of English reproduction dining chairs in Yew and Mahogany finish (other finishes are available on request). 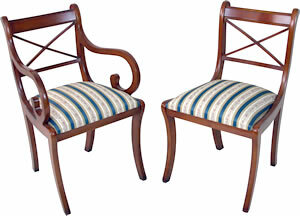 All of our dining chair frames are solid beech. 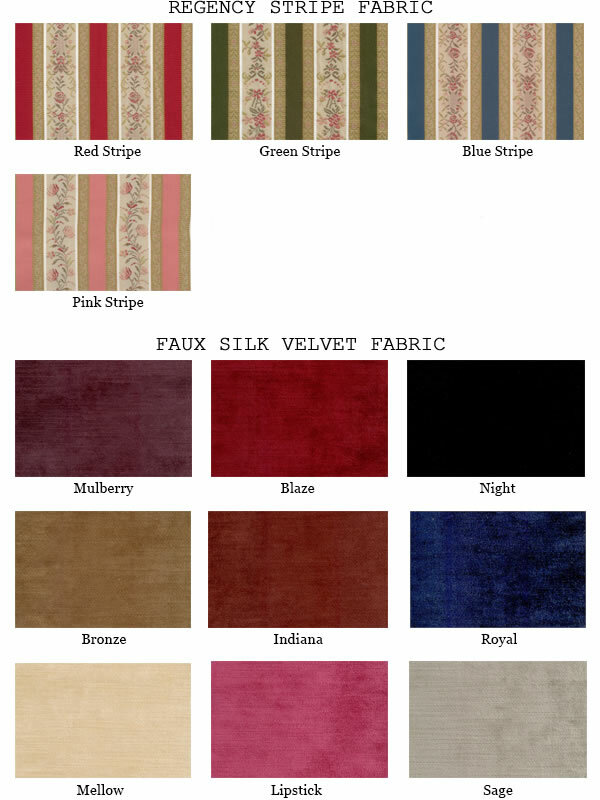 We offer a standard collection of 'Regency Stripe' and 'Faux Silk Velvet' fabrics. 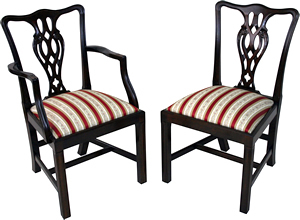 If required we can supply the seats with Calico to be covered in your own chosen fabrics, or you can supply your own fabric for upholstery. 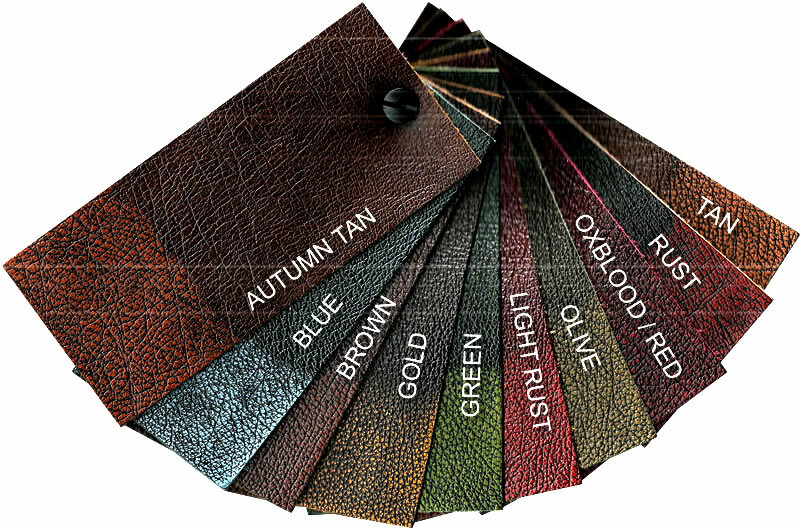 Leather options are also available. 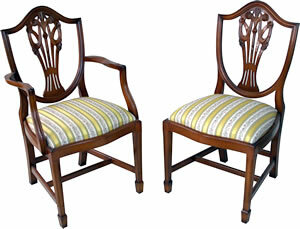 This chair is solid beech and can be coloured to match any of our tables or cabinet furniture. 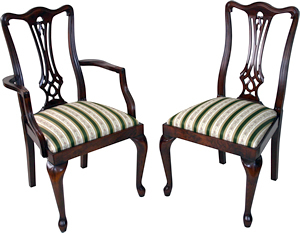 As standard you have the choice of 'Regency Stripe' of 'Faux Silk Velvet' for the seat pads. 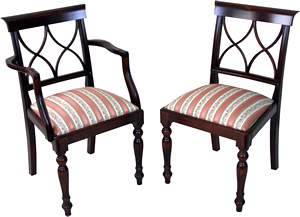 If you prefer you can supply your own fabric (generally 1m of fabric will cover 2x chairs depending on the pattern repeat) or we can supply the seat pads upholstered in Calico for you.